The BEST School Holiday Activity on Sydney’s Northern Beaches! 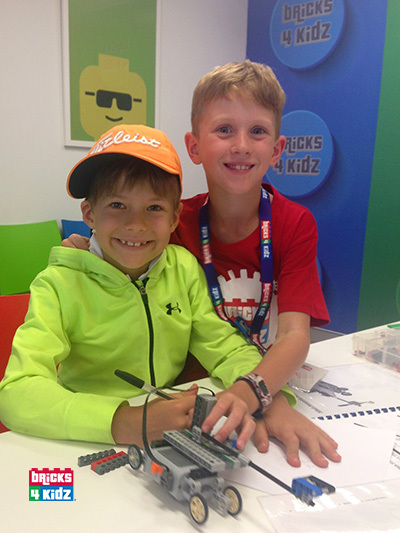 With our unique BRICKS 4 KIDZ® models and Imaginative Play, the kids are always having fun at our School Holiday Programs with LEGO® and Robotics! Our school holiday activities are designed for kids ages 5–11, staffed by trained and screened BRICKS 4 KIDZ® instructors, and have the best child : staff ratio around! Our April Programs are being held at THREE convenient locations across the Northern Beaches! Visit our Facebook page to view our photos from previous workshops or check out this fantastic video to see the fun! Enter your details and come BUILD with us! Children are welcome at most of our workshops from as young as five, however all kids attending must be enrolled in Kindergarten at least in order to attend. Please note that food is NOT provided. For our full day workshops, children will need to bring their own nut-free lunch and two snacks. Unless specified otherwise in a specific promotional offer, cancellations made at least TWO weeks from the start date of the school holiday workshop will receive a full refund. We do not offer any refunds for workshops cancelled LESS than TWO weeks prior to the scheduled start date of the workshop. Please contact us for further information. All transactions are processed in Australian dollars (AUD). Your child’s place is confirmed when payment is made. Please contact us if you required a Tax Invoice.